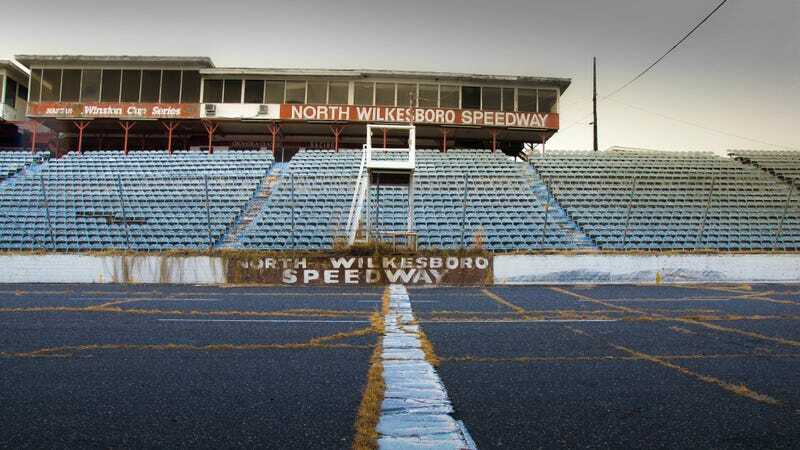 The North Wilkesboro Speedway opened in 1947, nearly a year before NASCAR was founded. The short track near moonshine country was where the first NASCAR champion, Robert "Red" Byron, was crowned. Today, five years after being abandoned, the historic speedway is just a rotting pile of sticks, crooked chairs, and faded glory. Check out more photography from Seph Lawless on his website. Also, follow him on Instagram, Twitter, and Facebook. Stay tuned for more from his ongoing project, Autopsy of America, in which Lawless will be documenting the most abandoned parts of all 50 states. You can buy a book of his North Wilkesboro Speedway photos here.